Open-source music and audio is finally delivering the goods: useful and unique tools that make sense even alongside commercial/proprietary software. And as a sign that the mainstream could get a taste of these tools soon, Intel is exhibiting at the massive Las Vegas CES consumer electronics show with Transmission, says Trinity Audio’s Ronald Stewart. 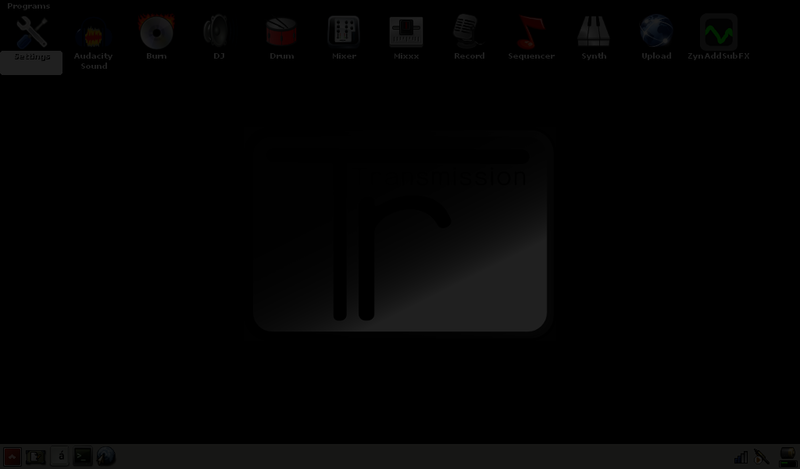 Transmission is Trinity Audio’s open source software bundle and live Linux distribution. 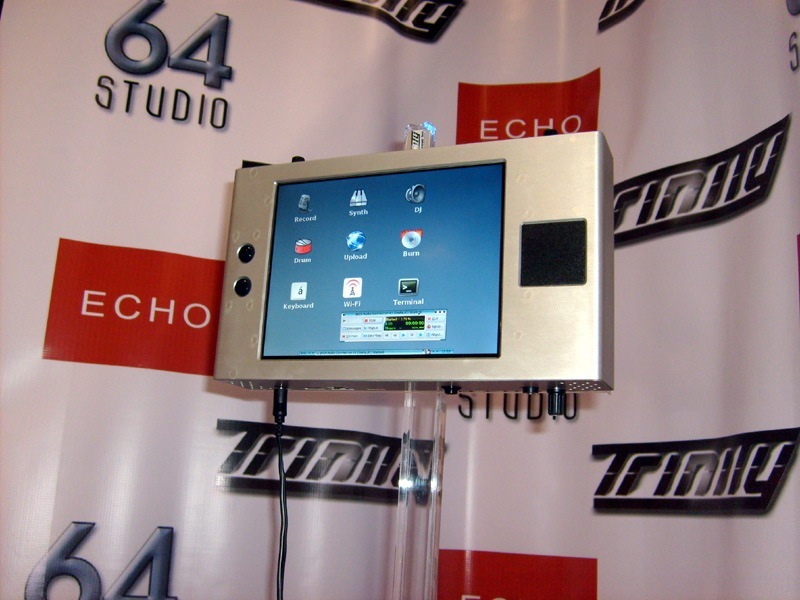 It’s built for Trinity’s Linux-powered Trinity mobile studio device, which we’ll be seeing more of soon. At CES, it’s running at the Intel booth on the Samsung Q1 Ultra Ultra Mobile PC (UMPC). (The advantage of the Trinity over the UMPC for audio folks: XLR jacks, among other things.) But you can also run this free software on your PC — try the live CD link below. Haven’t tried it on Intel Mac yet, but that should work, too, theoretically. But no need to have a UMPC or Trinity device to give this a spin. This live CD will do the trick. For Mac users, it even includes the native (non-Linux) Ardour for Mac, an excellent free and open source DAW for Mac users. Even as someone dedicated to proprietary software I really can’t live without (hello, Ableton! ), I think there’s huge potential in using these applications for specific applications (like mobile devices), for collaboration, and file exchange. If we were really lucky, some of those major developers would start to build in support for, say, Ardour’s file format. But that’s the subject of another story. Below: the Trinity mobile device getting celebrity treatment.